When you send emails to other people, there is a name that is displayed in their inbox that identifies you as the sender of that email. While this is often your first and last name (as of when you first set up the account) you might change your name, choose to go by a different name, or elect to use your company name instead of your individual name. 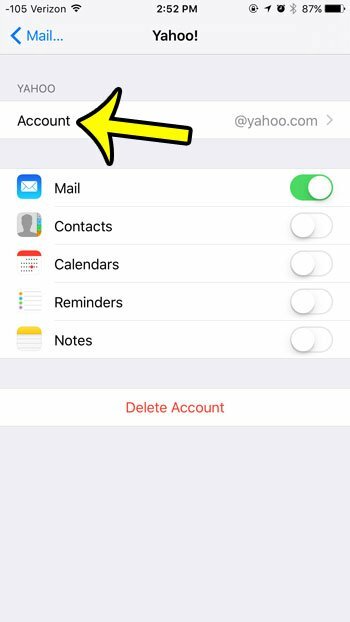 Fortunately you can change the name on emails that you send in iOS 9 by following just a few steps. Our guide below will show you how. 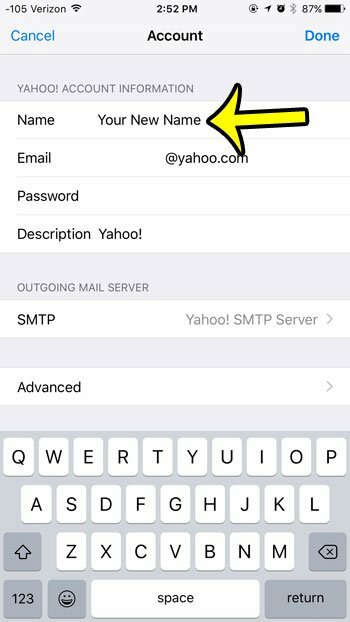 These steps will show you how to change the sender name for one email account on your iPhone. 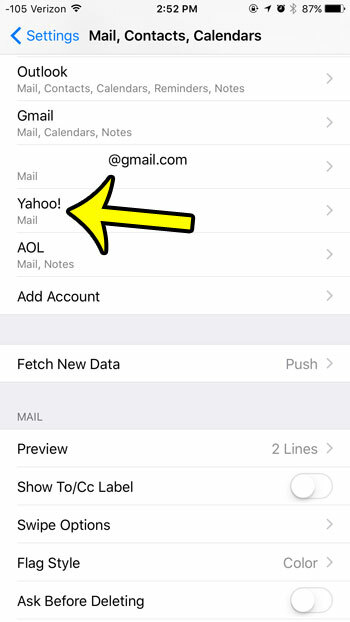 If you have multiple email accounts on your iPhone, then you will need to repeat these steps for each different account. Select the email account that you want to change. Tap the Account button at the top of the screen. 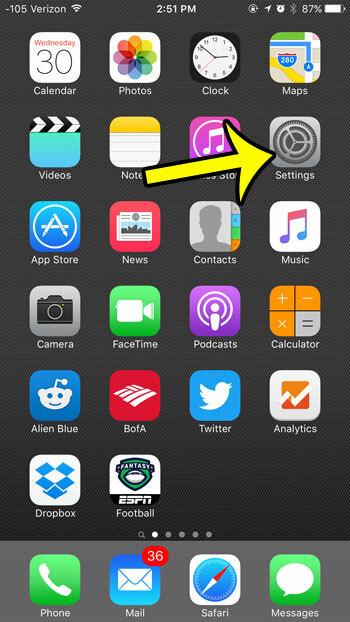 Tap inside the Name field, then replace the existing name with the new name. Tap the Done button when you are finished. Step 3: Select the email account for which you wish to change the sender name. Step 4: Tap the Account button at the top of the screen. Step 5: Tap inside the Name field, delete the existing name, enter the new name, then tap the Done button at the top-right corner of the screen to save the changes. 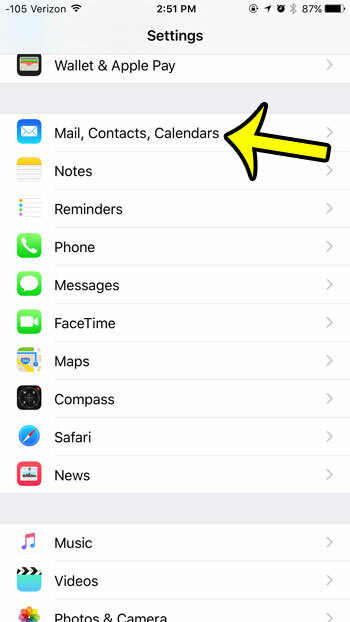 Note that this will only change the name that is displayed on emails that you send from your iPhone, through the Mail app. The sender name will not be changed on other devices, or when you sign into your email account through a web browser. Are you tired of people being able to see that you send an email from your iPhone? Learn how to edit your iPhone signature to remove the unwanted “sent from my iPhone” text.